You might not know Becca Stone by name, but you’ve probably seen her vintage Volkswagon Bug around town with its eye-catching multicolored paint job. Stone said she relies on Ken Meehan down at Meehan Auto Body to keep her classic car running. “And I walk a lot — I don’t live that far from the college,” she added. The paint job is right in keeping with the art professor’s approach to life, which is big and bold. The selectmen know her well, since she’ll be right there at their weekly meetings when an issue catches her attention, and she’s had some memorable encounters over the years when one or more of the selectmen tries to brush her off. But Stone said she doesn’t try and stir up trouble — she just wants to make sure town officials hear all perspectives. Stone’s not an Exeter native, though she’s lived here for longer than she prefers to admit. Although she’s never married, she’s been in a long-term relationship with local lawyer Riordan Boyle for years, and the two are often seen together around town. Time in Exeter: You’re making me add that up? I came here as a college freshman back in 1965, so more than 45 years. Hell, that makes me sound ancient. Family: My niece, Ellie Matthews, is the only one still alive. My sister, her mother, died 20 years ago, and I haven’t stayed in touch with my brother-in-law. And Riordan, of course. Childhood ambition: I loved the idea of Amelia Earhart flying around the world, being that daring. But I loved painting more, so I ended up in art. Three most important people in life: Ellie and Riordan. I don’t know that there’s anybody else close to that level. List of three things you would take if evacuating: A box of letters; a painting I did when I was in college; and a photo of my mother, my sister, me and Ellie on Ellie’s first Christmas. What would your last meal be? However I go, I want it to be quick and unexpected, so I wouldn’t know it was my last meal. What’s in your iPod? Oh, I have all sorts of music, anything that might give me the right feel for a painting. My students at the college are always recommending albums. Dream vacation: I spent six weeks one summer in Europe painting in France, Italy, Spain and Ireland. I don’t think I could ever top that. Idea of hell: Meetings with the admin weenies at the college. Just let me teach. Best advice you ever got: My father, before he died, told me to always take a chance because the worst thing in life was regrets. He’s right. Fun Friday night plans: I love having people over — people in town, grad students, other professors. Get a group of people with all different interests in the same room, add enough alcohol to loosen everybody up and let them debate. Ideal date: What am I, 18? Favorite sport? The kind I don’t have to watch. Hobbies/activities: I’m on the town Arts Council, and I paint sets for the Exeter Players. They even roped me into helping the high school drama club crew. The kids do the painting, but I help them design it. Favorite season: Fall. I love all the color — there’s nothing more inspiring when painting landscapes. And that death of the year means we’re heading toward hibernation, then renewal in the spring. One thing you would tell your 13-year-old self: You’re your own person — don’t try to meet others expectations. 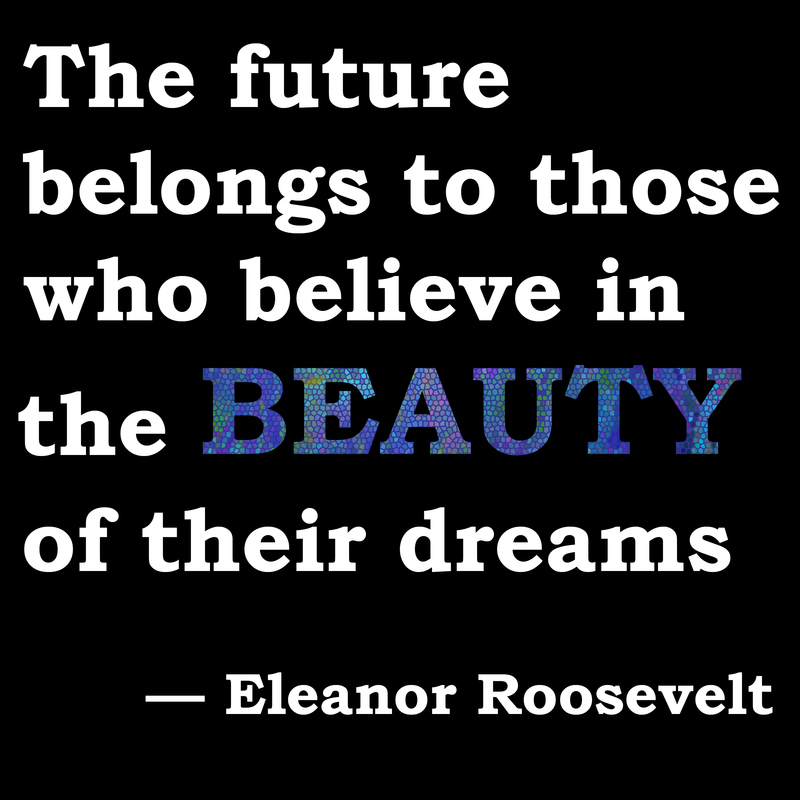 Favorite quote: “The future belongs to those who believe in the beauty of their dreams.” Eleanor Roosevelt. Person you’d love to have dinner with: Hillary Clinton and Michelle Obama. They’re both powerful women, married to powerful men. I can’t imagine what it was like to put their careers on hold for their husbands, and I’d love to know what went through their heads. Coffee or tea: Coffee. And none of that dishwater stuff, either. Strong and black. Beer or wine: Give me a good gin and tonic. Introvert or extrovert: You can’t tell? I’m about as extroverted as they come. Beach or mountains: Mountains. They’re much more interesting to paint. This entry was posted in exeter, Meet the Characters. Bookmark the permalink. I’m glad – I’d say Becca’s one of my favorites, but they’re all my favorites. Yay! So glad you’re enjoying them.